So I finally got round to reading this. I think it's been around for a while (1985?) and some of the concepts aren't really the kind of thing you'd get for Young Adult. I found this incredible. Training a child from a very young age to fight against these aliens who wiped out billions of people from nearly a decade ago. 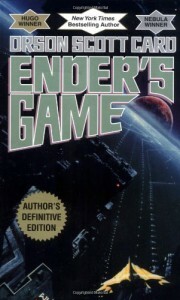 The bulk of the book focuses on the main character, Ender, who joins the Battle School and has to fight through "games" which, in one sense are just play-fighting for the other children in the Battle School - but in another, very real sense, are linked to the strategy of fighting the aliens in reality. Plus, everyone takes it very seriously. I really enjoyed this book from start to finish. As Ender improves, he goes up from team to the next until eventually...it's for real. But here's one thing I don't get. He's six years old? His brother and sister are a few years older than him and are talking about mature topics and politics and all these other very "adult" concepts and...it just doesn't feel right. I...just don't get it. None of the children act like their age. They act like they're 20 years older than that! 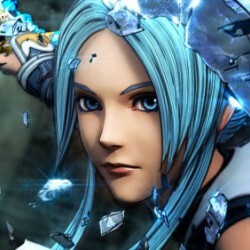 (Maybe ten, if they're ultra mature.) They demonstrate all these ridiculous understandings of technology, fighting skills, strategies, as if it's nothing at all. I can't even begin to wrap my head around this. Also, the n-word is used. Once, I believe. Just in case anyone's sensitive about it, but this was written over 30 years ago. I did enjoy the characters - some of them, anyway. They just didn't feel like they really were children at all? It's like they'd been brainwashed and engineered from a really early age and it just felt weird. But with all that aside it was an impressive book. Just bear in mind that it wasn't written in this generation, it's probably not for everyone with all the concepts it brings to light, and I still can't get over the fact of six-year olds killing each other with their bare hands.